Jimmy Ramsey was a charter member of the RMDIAI in 1967. He held all offices within the Division and served most recently as the Editor of The Silent Witness newsletter. Jimmy was also the Editor of the newsletter for the first eight years of the Division. 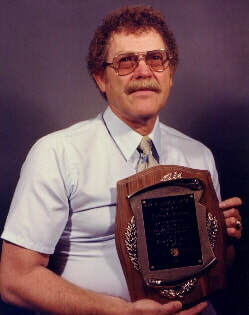 He was the first recipient of the Jay Jensen Memorial Award in 1983. Jimmy served as the RMDIAI President during 1975-1976. He continued as Chairman of the Board during 1976-1977. Jimmy C. Ramsey was a Colorado Certified Peace Officer, employed by the Denver Police Department as a commissioned officer for 27 years. He then worked as a Latent Print Examiner for the Lakewood Department of Public Safety for over 7 years. He was a Certified Latent Print Examiner (CLPE). Jimmy lectured to recruit classes for several years at both the Denver Police Academy and the Lakewood Police Academy. He lectured to law classes at the Denver Public School's Career Center, as well as Police Science classes at Metro State and Arapahoe Community College. He published "A Primary Guide to Consulting for the Latent Fingerprint Examiner", copyrighted 1991. Jimmy was active in the International Police Association and Boy Scouts of America, where he served as a Scout Master from 1968 to 1979, earned his Wood Badge, earned the Scouter of the Year Award in 1975, and served as a Scout Master for the 1977 National Jamboree. 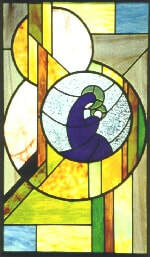 Over a period of 20 years, Jimmy created and crafted over 100 stained glass windows. Most memorable and hanging today, the Denver Police Department badge at the new Police Protective Association building; Lakewood Police Department badge at the Lakewood Police Department building; Boy Scout window at the Denver Boy Scout building; Girl Scout friendship window at the Girls Scout Tomahawk Ranch and many more for family and friends. Jimmy also enjoyed oil painting and crafting Indian jewelry as a hobby. Jimmy is survived by his wife Violet, daughter Carol and son Jeff. This program has been developed for use by any Rocky Mountain Division (RMD) member, in good standing, for reimbursement of training costs paid for by the member from his/her own funds. Reimbursement will be made for any training in one or more of the identification fields recognized by the International Association for Identification (IAI). The maximum reimbursement will be $500. This program will be administered by a Training Reimbursement Committee appointed by the President for the term of his/her office. Upon request each applicant will be supplied with a packet of information and forms necessary to facilitate the reimbursement and show proof of completion of the training. The applicant must register and pay for the training class themselves, and complete the training, before any reimbursement will be made. Applications are accepted at any time on a first come first serve basis. They should be mailed to the RMDIAI Secretary. The applications will then be reviewed by a special committee, appointed by the current President, to determine all the eligibility requirements have been met. Submission of an application is no guarantee that a reimbursement will be made. Applicants will be notified if they are not approved due to lack of available funds, class content, or because the member is not in good standing. Only members in good standing of the RMDIAI are eligible. A member in good standing is one who is current with his/her dues. The reimbursement period runs from January 1 until December 31 of each year or until the reimbursement money for the current period is exhausted. Reimbursement will be awarded on the basis of the cost of the training fees, but cannot exceed $500. That is, the reimbursement will be equal to the costs of the training or $500 maximum. Applicants may be awarded only one reimbursement per year. Reimbursement will be considered only where the member has paid for the class training fees out of his/her own personal funds. Reimbursement cannot be made for training that was paid for by the member's agency or other sponsor. Reimbursement may be applicable for the registration, lodging, meals or travel. Any training will be considered acceptable that pertains to one or more of the identification disciplines established by the IAI. Along with the reimbursement request, as proof of attendance, a copy of the member's class certificate, or a statement signed by the class instructor verifying attendance, and the individual member's payment receipt must be submitted to the Reimbursement Committee. These documents must be received within thirty (30) working days of the end of the training class. Reimbursement checks will be issued to the member as soon as practical if approved.